Central Parking System Corporate Office in Nashville is a private firm which provides professional parking management service. It was acquired by Kohlberg & Company, Lubert Adler and Chrysalis Capital Partners in the year of 2007. James Marcum and Cindy Baeir are the CEO and CFO respectively of the company which has an employee strength of more than 15000. The services of the company include multi-level parking facility management, customer and employee shuttle services, valet and special event parking, parking meter enforcement, design consultations, toll road collections and parking notice. There are currently 0 consumer reviews about Central Parking System available. Share your review. 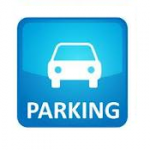 Please take a note that you are about to post a public review about Central Parking System corporate office on CorporateOffice.com. This review will be public, so please do not post any of your personal information on this website. If you would like to contact the corporate offices of Central Parking System, please use their contact information such as their phone number, website, and address listed above to contact them. However, sometimes staff from Central Parking System headquarters do read the reviews on this website.